A concert to mark the 250th anniversary of the death of Georg Philipp Telemann and featuring some of his most loved music. This will include two works inspired by literature, the Don Quixote Suite and Gulliver's Travels, along with a suite from "the Fairy Queen" by Henry Purcell to round out this delightful program. 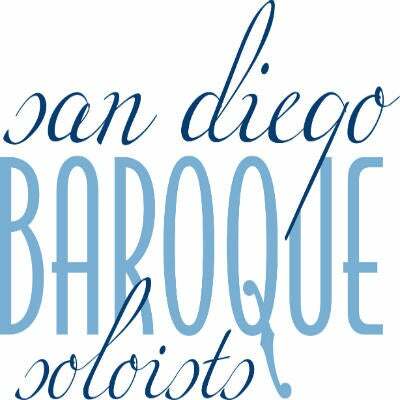 San Diego Baroque Soloists, a collaborative ensemble, includes violinists Pierre Joubert, Isaac Allen, violist Andrew Waid, cellist Alex Greenbaum, and harpsichordist/organist Alison Luedecke. Each artist is an accomplished soloist in their own right and has performed extensively in San Diego and worldwide, with groups such as the Academy of Ancient Music, Mainly Mozart, Bach Collegium, The Knights and the Hausmann Quartet. The ensemble was created because of the members' enthusiasm and expertise in Baroque music, and features virtuosic local musicians.